We recently had the priviledge of participating in a series of events in Guatemala, thanks to the invitation from SmartCubo Latin America. Aristides Alvarez made a presentation in the international semminar Robotics in Education with a diverse audience. 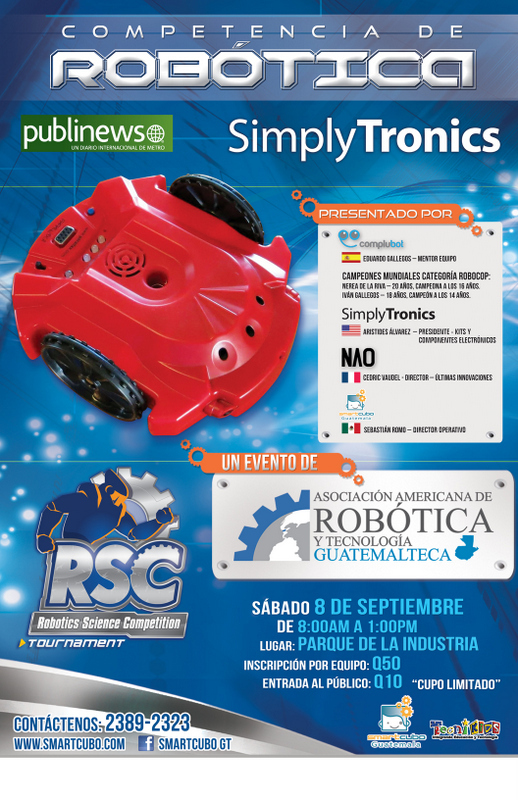 SimplyTronics was able to make connections and gain insight about the hardware needs for the Latin American market. We will be working with SmartCubo in developing/manufacturing kits and competitions that would allow the introduction of Robotics in thousands of schools in Latin America.